The world’s media is fixated on the Gaza conflict; it receives 24/7 coverage and continues to be headline news for a month. Indeed the war is tragic and many lives have ended needlessly but to be frank, this is nothing out of the ordinary for this part of the world; the daily casualty toll in Gaza during this war is not very different than Iraq. Afghanistan or Pakistan at peace where religiously minded fellows kill scores of innocents in bombings regularly. You may wonder why deaths in Gaza attract so much outrage yet the deaths of hundreds in Nigeria at the hands of Boko Haram or ISIS in Iraq are scarcely mentioned. I expect we all have our opinions over the polarizing issue of Gaza and with so much disinformation in the age of conspiracy theories, let us look at Palestinian peace demonstrations to get an idea of what is behind the Gaza conflict. Palestinian “peace” demonstrations are not demonstrations of support for Gaza but rather are demonstrations of hatred of Jews. Demonstrations throughout the West have quickly devolved to manifestations of Jew hatred and outright violence targeting Jews. In France, demonstrators trapped Jewish congregants inside a synagogue and vandalized Jewish shops. 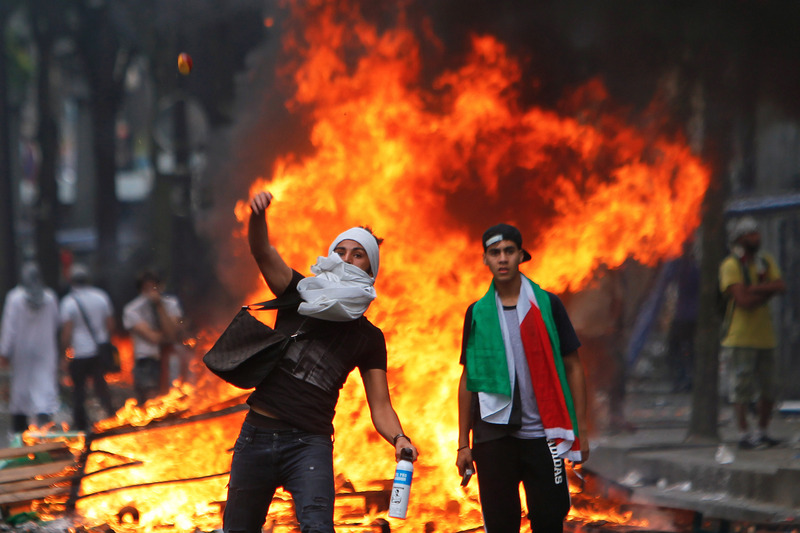 Throughout Germany, pro-Palestinian protests turned violent as Jews were assaulted and anti-semitic slogans not heard in Germany since Nazi times were hurled at Jews. In Florida, pro-Palestinian demonstrators declared “we are Hamas”, “We are Jihad” and they attacked a Jewish reporter. In Canada, pro-Palestinian demonstrators showed their true colours by attacking peaceful counter-demonstrators in Calgary and Toronto. So the media’s story is that Israelis are the vile aggressors attacking defenseless Palestinians in Gaza. All across the Western world, those supporting Israel, (the supposed aggressor) rally peacefully and those claiming to support peace and the defenseless victims of Gaza, attack people who dare to disagree with them or who happen to share the same religion as the Israelis. Israel like Israeli demonstrators are good citizens of the world, respecting the rule of law. Arabs living in Gaza are like their thuggish supporters in the West – are wolves dressed in sheep’s clothing. Wolves who for the moment are kept at bay by brave, principled men & women. 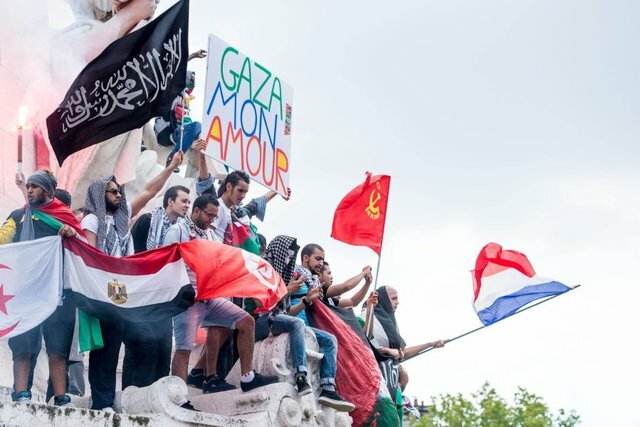 Demonstrators against Israel are largely newcomers to the West, they have brought their world view, their conflict and their hatreds to the West. The question is what do they bring to the West of value? This is diversity that only a liberal could love.